Itâ€™s not every day that you meet somebody who loves animals as much as you do. Thatâ€™s where it all started. Connie and her kids are nuts about cats. Iâ€™m crazy about dogs. So whatâ€™s better than putting our blogging resources to good use and start a blog network for Pinoy pet-lovers? What will you find on this site? For starters, we hope to bring you snippets of the latest entries from our member blogs. Right, we want this site to serve as a repository of links to anything and everything about pets. Another aggregator? Yes, with a huge difference though. We will never run your feeds unless you are a member of the Pinoy Pets Network and, as such, have agreed to have your feeds appear on this site. We respect copyright, you see. 🙂 Later on, we hope to provide more pet-related resources. 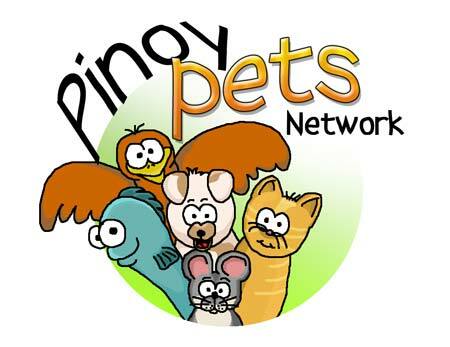 Member blogs get their own custom Pinoy Pets Network theme, and full reign over their blogsâ€™ earnings. A network-wide ad system is still just a long-term plan at the moment. Because right now, our main thrust is basically throwing traffic to one anotherâ€”thereby giving Pinoy pet blogs more exposure in the Philippine blogosphere. Yes, I know. Itâ€™s basically more of an outreach project than a business one. Such a move would be difficult to understand if you donâ€™t care much about animals. Life isnâ€™t just all about money, you know. Itâ€™s good to think about other things other than yourself and your pocket sometimes. And in this instance, Connie and I would like to think about the little creatures that have enriched and continue to enrich our lives. And we hope you would too. If you got a pet blog, we highly encourage you to join us. Letâ€™s give our non-human friends a little time on the spotlight. If you arenâ€™t a pet-owner but loves animals as much the next person, do take time to visit the first blogs on our network: Pinoy Dog-lover, My Pet Hamsters, Piscinarii, and We love cats! This entry was posted on Friday, 2 March 2007 at 9:05 pm and is filed under Blogging, Blogosphere, My Pets. That is AWESOME. I love animals, especially cats. It’s quite evident that my cat is actually writing my blog… based on the number of entries involving my fat and lazy cat “Max”, hahaha. Can’t wait for summer. I’m getting another dog bwahaha. What a great idea! I’ll be content as a reader since my 5 year old daughter is already getting jealous because I blogged about our dog for the first time. She’s has been saying “you love C more than me”. @mae: nah. This is more of an advocacy than a business model. @noemi: you should! Then drop us a line when it’s ready so you can join us! @fruityoaty: you have a pet blog? @Shari: sige na go on, gawa ka na ng pet blog mo para you can join! @marc: what, and let you snore at it? you may want to integrate a Web 2.0 virtual pet thingy… for us who can’t have pets coz neighbors complain about them.